DEF: Paul Black, Carolina RailHawks – Coming to the NASL at the start of 2015, the former Manchester City Academy player was one of the newcomers that provided standout performances and locked down the left fullback spot on the Atlanta Silverbacks’ back line a year ago. Now in Carolina, Black is expected to strengthen the club’s defense, which finished tied for the most goals conceded. Black, 26, can also get in the attack as well and should have a key role in any success the RailHawks have in 2016. 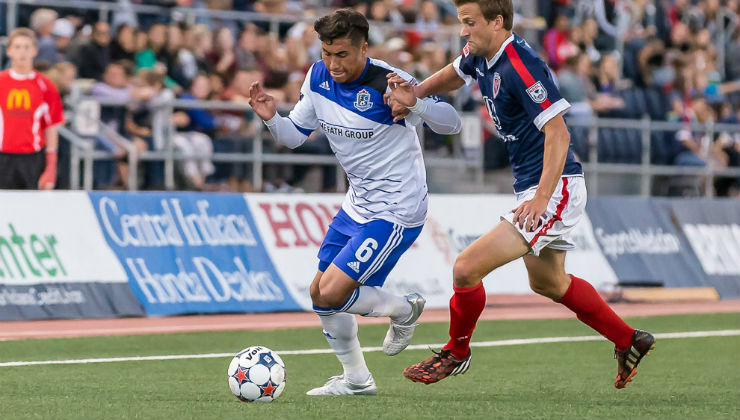 MID: Dustin Corea, FC Edmonton – Joining Edmonton in the 2015 Fall Season, Dustin Corea had an instant impact. The Salvadoran international is expected to have an increased role in the team now that Lance Laing has left for Minnesota United. Comfortable on both flanks and good on the ball, Corea, 24, showed girt as well when helping the Eddies in the defensive third. 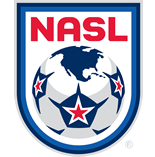 MID: Matheus Carvalho, Fort Lauderdale Strikers – Recently playing in the UEFA Champions League with AS Monaco, Matheus Carvalho, 24, is expected to hit the ground running in his first NASL season. Adding another attacking element to Fort Lauderdale’s attack, the young Brazilian could play the role of creator alongside plenty of experience in the side. FWD: Eamon Zayed, Indy Eleven – Indy Eleven’s attacking unit didn’t score as many goals as it would have liked and the veteran Eamon Zayed, 32, will hope to change that. A Leicester City youth product, the Irish-born Libyan international has shown a knack for scoring in bunches wherever he has been. The Eleven will need it to continue to have a strong year in 2016. DEF: Mechack Jérôme, Jacksonville Armada FC – A Haitian international, Mechack Jérôme has developed into a two-way player for Jacksonville. The Haitian international will solidify a back line that struggled in 2015 (Jerome helped in that regard when he joined late in the Fall Season), but Jerome, 25, has a growing reputation for his set-piece prowess. If he finds the back of the net from distance over the course of 2016, it will come as little surprise to anyone. MID: Wilson Palacios, Miami FC – Joining the league as an expansion side, Miami FC opted for experience in the team’s engine room. Wilson Palacios, 31, made his name in the Barclays Premier League and represented Honduras at two World Cups. Palacios will also act as the shield for Miami’s back line in its inaugural season. MID: Lance Laing, Minnesota United – After leading FC Edmonton the past two seasons, Lance Laing, 28, moved a little further south when joining Minnesota. The Jamaican international is dangerous on set pieces and down the flanks. His combination play with Justin Davis could be an essential part to the Loon’s success in 2016. MID: Juan Arango, New York Cosmos – Earning the nickname Arangol for his ability scoring from distance, Juan Arango becomes the veteran presence vacated by a pair of retiring Spanish stars, Raúl and Marcos Senna. The Venezuelan international will look to make the Cosmos’ attack tick and Arango, 35, will undoubtedly be a threat from any set-piece opportunity New York has in the upcoming campaign. 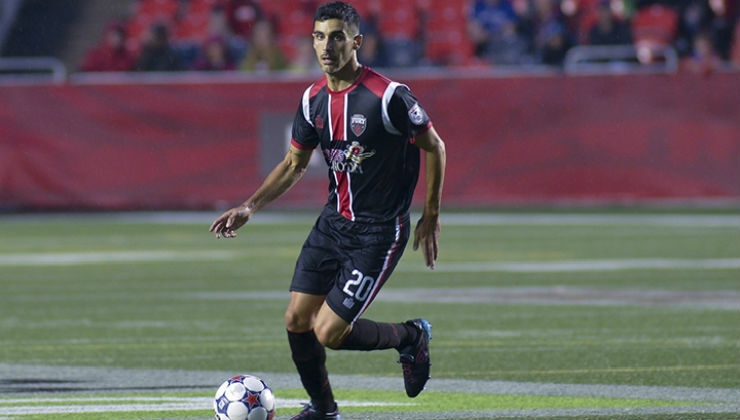 MID: Mauro Eustaquio, Ottawa Fury FC – Entering his third season in the NASL, Mauro Eustaquio, 23, has improved with each passing season. The Canadian youth international is looking to take another step forward and increase his role in the Ottawa Fury FC lineup. The midfielder will hope to add a few more goals to his game and help Ottawa return to The Championship Final. FWD: Pedro Mendes, Puerto Rico FC – Returning to the NASL in the 2015 Fall Season, Pedro Mendes hit the ground running with the Silverbacks. Mendes, 25, found the back of the net seven times a year ago. With Puerto Rico FC joining the league in the 2016 Fall Season, Mendes’ experience in the NASL will be crucial for a strong start for the Caribbean side. FWD: Billy Forbes, Rayo OKC – While many will focus on the bigger names brought in by Rayo OKC – Georgios Samaras, Derek Boateng, Robbie Findley – Billy Forbes, 25, should be the key player in the expansion side’s attack. Able to score goals himself, Forbes’ ability to create and pick the right pass has aided him well in his first two seasons in the league. Reunited with Alen Marcina in Oklahoma City, Forbes, who has a game-winning goal in The Championship Final in 2014, should pick up right where he left when the matches get going in 2016. FWD: Tom Heinemann, Tampa Bay Rowdies – With Ottawa surging in the second half of 2015, Tom Heinemann’s play as the focal point of the attack helped lead the club to a Fall Season title and into The Championship Final. Heinemann, 28, scored eight times and then added four more in the postseason a year ago. His work ethic and relentlessness up top for Tampa Bay could help the Rowdies finally push back into the postseason and beyond.